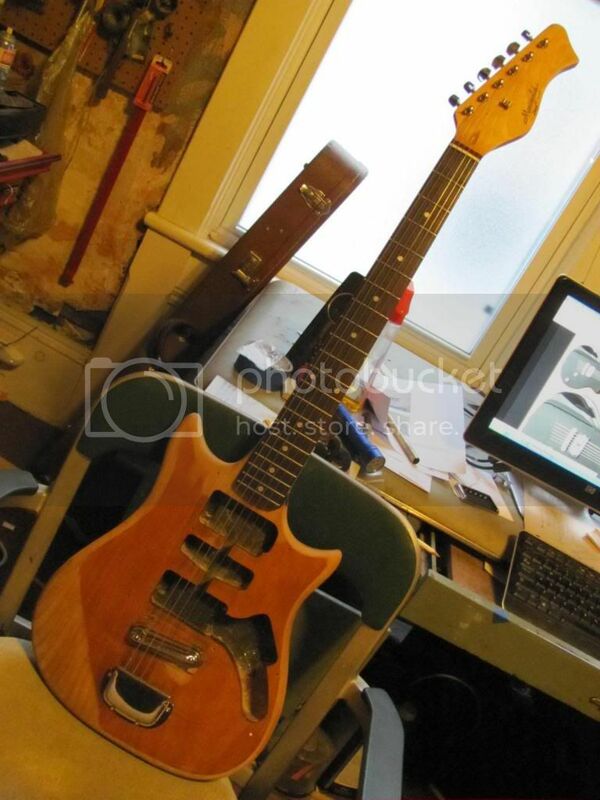 Here's the Ibanez shredder I reshaped. got a bit much off the bouts. I also hand radiused the edge's to 1/4 -1/2 inch. It's going to be my little girl guitar, pink leather sparkle pick guard from a Saks purse a friend gave me, white pearly body, 3 P 90's , white covers with slide switches. Or a polished metal striped aluminum pickguard, I will see what strikes me. the Saks leather is tough, I doubt it would ever show scratches. actually, that looks pretty darn good!